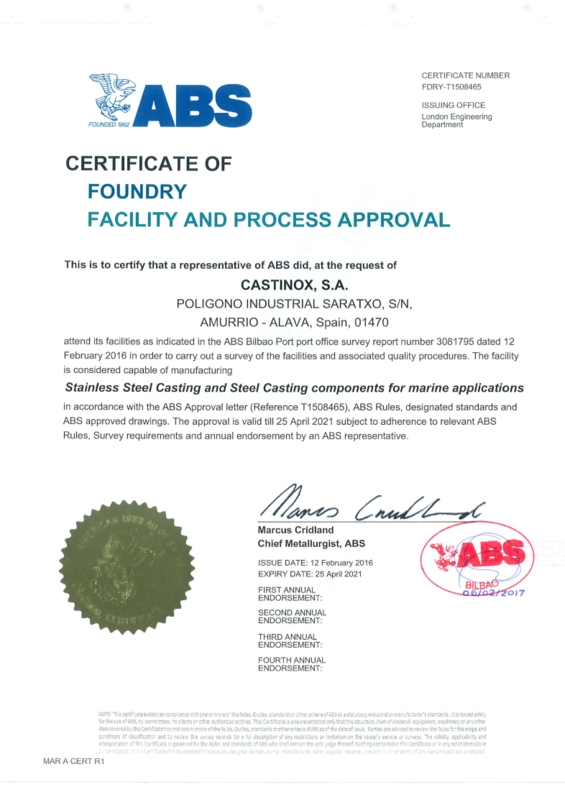 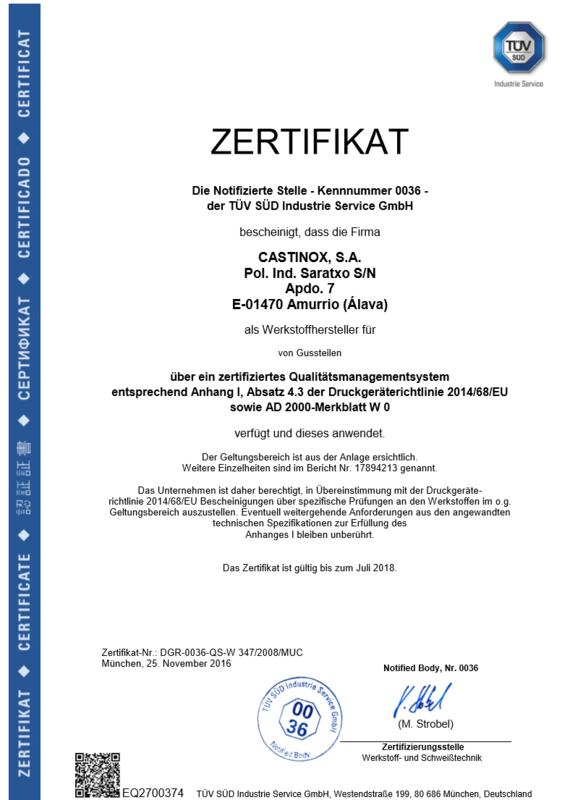 Castinox is certified by various international inspection and rating agencies. 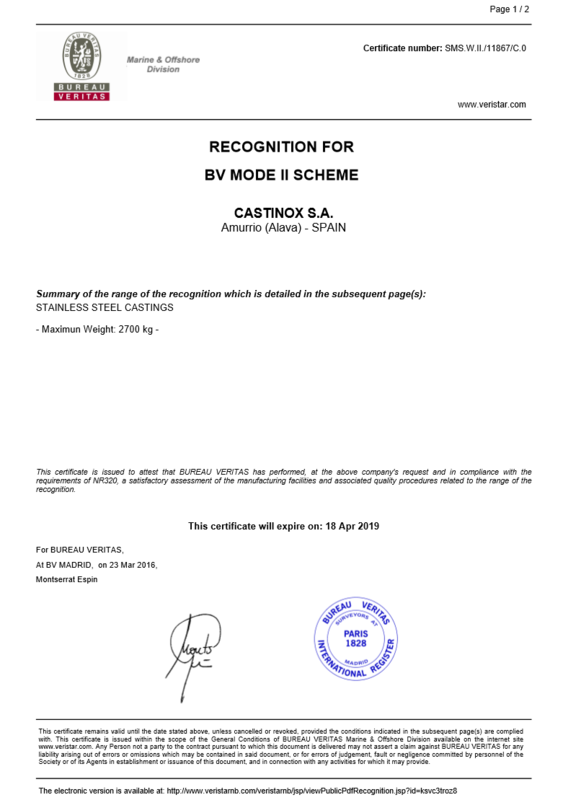 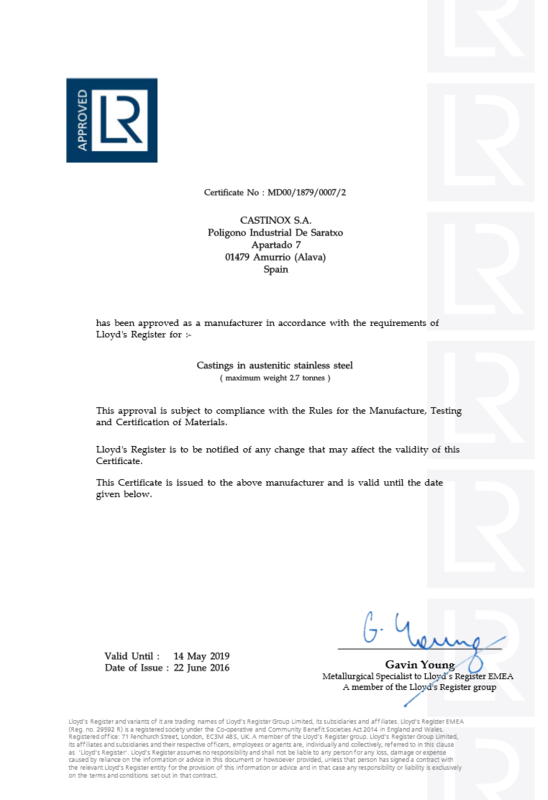 All these quality certifications show Castinox’s commitment to offering high quality services and products that comply with state and international regulations in other areas, such as our responsibility towards the environment. 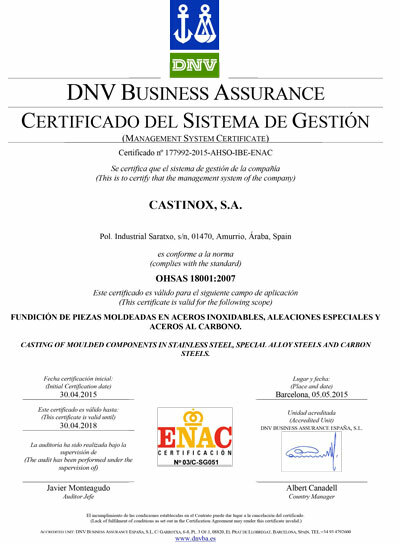 Our quality certificates include all kinds of specialties and industries. 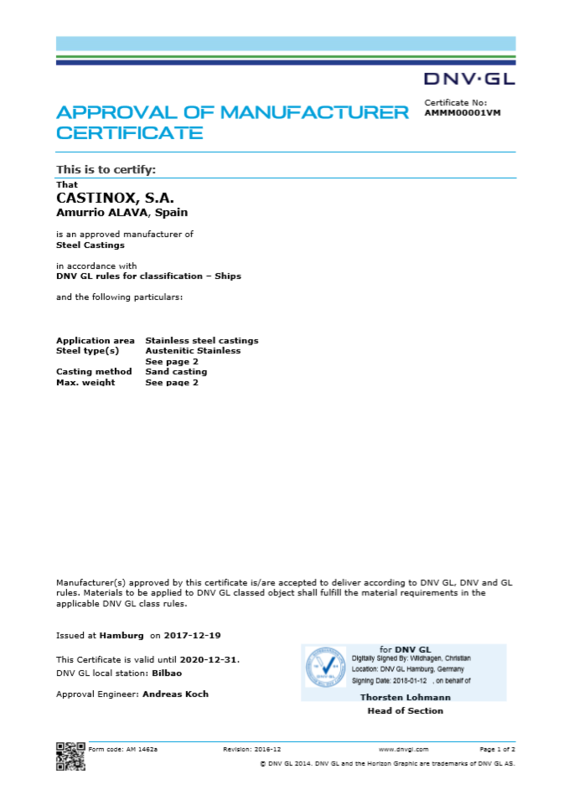 The most in-demand are the Nippon Kaiji Kyokai certificate, specialised in the shipping industry, and the different Norsok certificates, in high demand for oil and gas part projects.